Climate vs. Weather: What’s the Difference? | John J. Berger, Ph.D. Climate vs. Weather: What’s the Difference? Posted on August 16, 2013 by John J. Berger, Ph.D.
Excerpt adapted from Climate Peril: The Intelligent Reader’s Guide to Understanding the Climate Crisis (forthcoming). 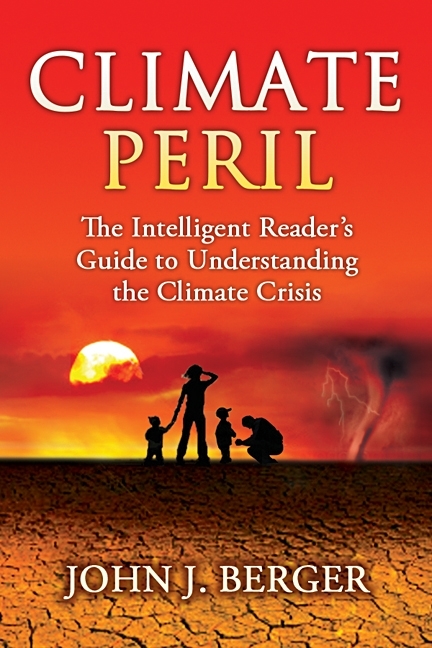 I’m making good progress on completing my forthcoming book, Climate Peril: The Intelligent Reader’s Guide to Understanding the Climate Crisis, and from time to time, I will include brief excerpts here that I feel may have broad relevance to the ongoing public climate debate, such as the very basic question: what is the difference between climate and weather? Please feel free to offer any comments, corrections or other feedback. “Climate is another word for average long-term weather, an ensemble of conditions marked by temperature, moisture, as well as atmospheric motion and transparency. Weather, by contrast, is a relatively short-term phenomenon, even though individual episodes can last for days, weeks, or even months. Unfortunately, many people lose sight of these distinctions between climate and weather. They mistakenly allow their judgment about climate change—which can be reliably deduced only from the careful analysis of long-term weather trends—to be clouded by their perceptions of weather. A particularly cold or snowy winter is often enough to convince many folks that the climate is cooling rather than warming. A sudden heat wave or violent storm is then taken as certain evidence of the opposite conclusion. Of course, weather is notoriously fickle, sometimes placid, sometimes turbulent. Its rapid oscillations can be like noise on an audio channel that makes the main signal—climate change—difficult to hear. Filtering out the noise of weather and random or chaotic climate fluctuations is difficult in the short term. Climate also has normal cyclical and chaotic variations, sometimes getting warmer, sometimes cooler. Moreover, it goes through long-term periods of greater and lesser relative stability. This makes it hard to discern underling trends through casual observation. Changes in the long-term climate “signal” are also somewhat obscured by large seasonal climate changes in the same geographic location, where temperatures often differ by tens of degrees. Day and night also bring large temperature swings. All these complications make it very hard for the untrained observer to detect small-to-moderate underlying trends. © Copyright 2013 by John J. Berger. All Rights Reserved.